Personalized Internet radio stations got a boost Friday when a federal appeals court ruled that Yahoo’s LAUNCHcast music service was not interactive enough to be forced to pay hundreds of millions of dollars in licensing fees. The 2nd U.S. Circuit Court of Appeals in Manhattan said LAUNCHcast did not offer its users so much control over selecting songs for personalized Internet radio stations that the users would choose those webcasts over buying music. 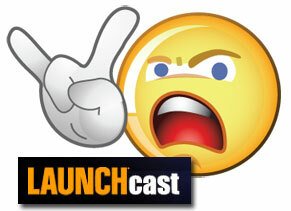 LAUNCHcast enabled users to create stations that played songs based on how the user rated songs, artists and albums. The appeals court cited the random nature of personalized playlists when it said LAUNCHcast was not required to pay individual licensing fees to copyright holders of each song it plays for its users. Instead, LAUNCHcast is only required to pay a statutory licensing fee set by the Copyright Royalty Board, one that tends to be cheaper and doesn’t require negotiations with individual recording companies. Those fees go into a pool that are then split among copyright holders. The appeals court decision came eight years after subsidiaries of Sony Music Entertainment in 2001 sued Launch Media Inc., the company that created LAUNCHcast. The lawsuit covered operations from 1999 to 2001. Since relaunching in February powered by CBS Radio, LAUNCHcast no longer offers webcasts based on individual preferences, although Yahoo Inc. said it has been working to relaunch the service. Brian Garrity, a spokesman for Sony, said the company was not commenting on the decision. The case was appealed after a federal jury in Manhattan decided in 2007 in favor of LAUNCHcast, rejecting the opportunity to award more than $100 million in damages to Sony if it had concluded that the company’s copyrights were willfully infringed. The three-judge appeals panel noted that at least 60 percent of the 10,000 songs from which a playlist is chosen for each user are generated by factors almost entirely beyond the user’s control. And although a user has control over the genre of songs to be play, the appeals court said the control was no different than a traditional radio listener expressing a preference for a country music station over a classic rock station. In the ruling, the court said a minimum of 20 percent of the songs on a playlist are songs for which the user has never expressed a preference. In addition, it said, customers cannot play the same song twice or view the unplayed songs on a playlist. “LAUNCHcast listeners do not even enjoy the limited predictability that once graced the AM airwaves on weekends in America when `special requests’ represented love-struck adolescents’ attempts to communicate their feelings to `that special friend,'” the appeals court said.